Revengeofthe5th.net: 10 Things You Never Noticed in "Star Wars"
10 Things You Never Noticed in "Star Wars"
Star Wars Junk provided us with a video montage of 10 Things You Never Noticed in "Star Wars". There's some pretty interesting stuff to be learned here. 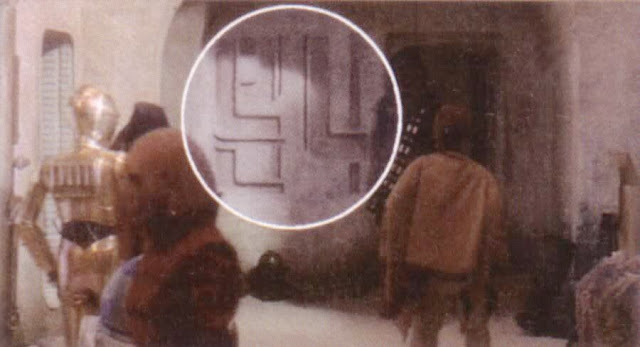 For instance, did you ever notice the giant "94" on the outside of the docking bay where the Millennium Falcon was parked? Check more of these nuggets of trivia out after the jump.